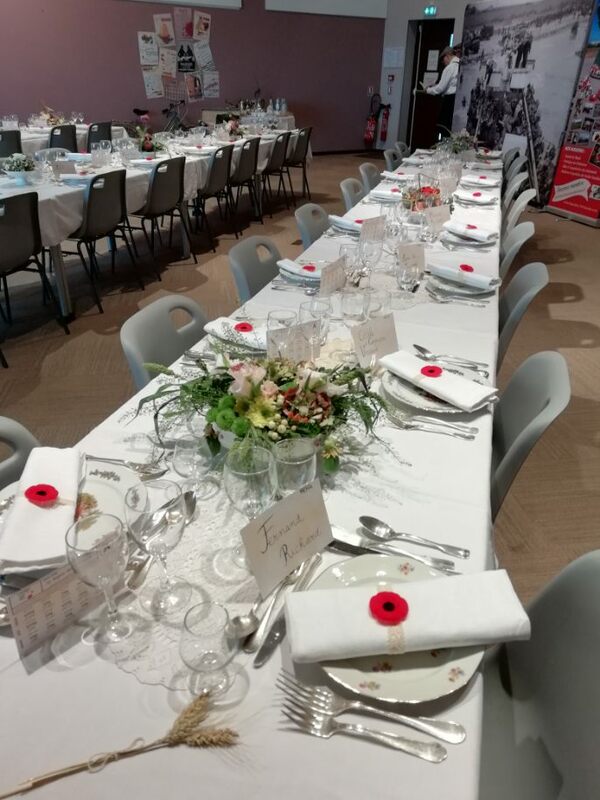 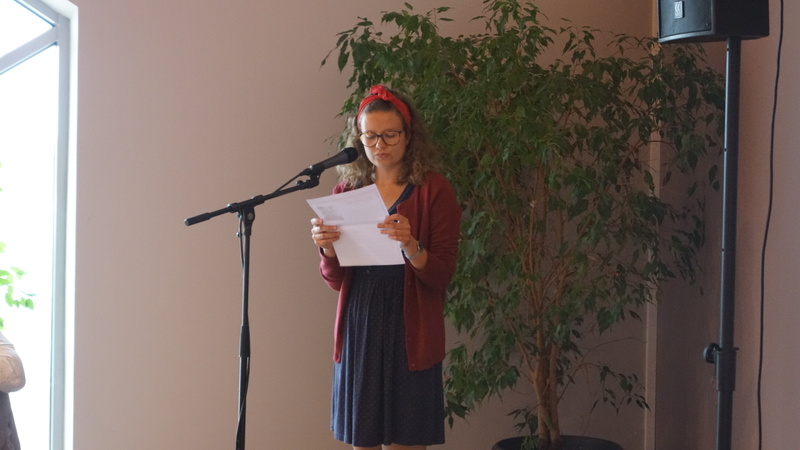 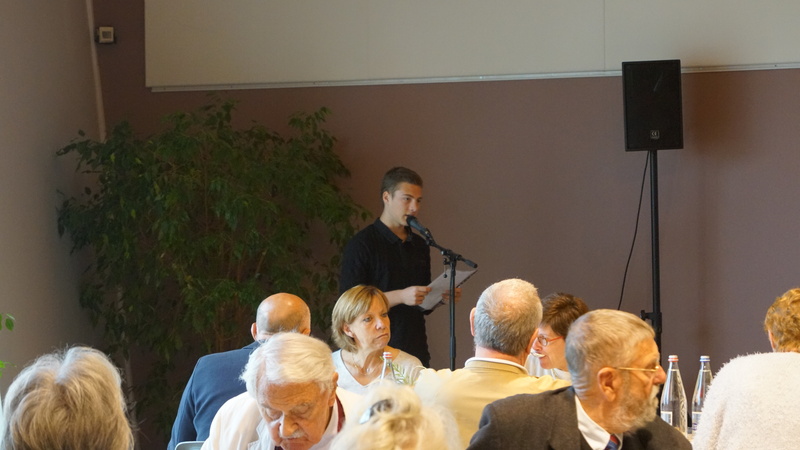 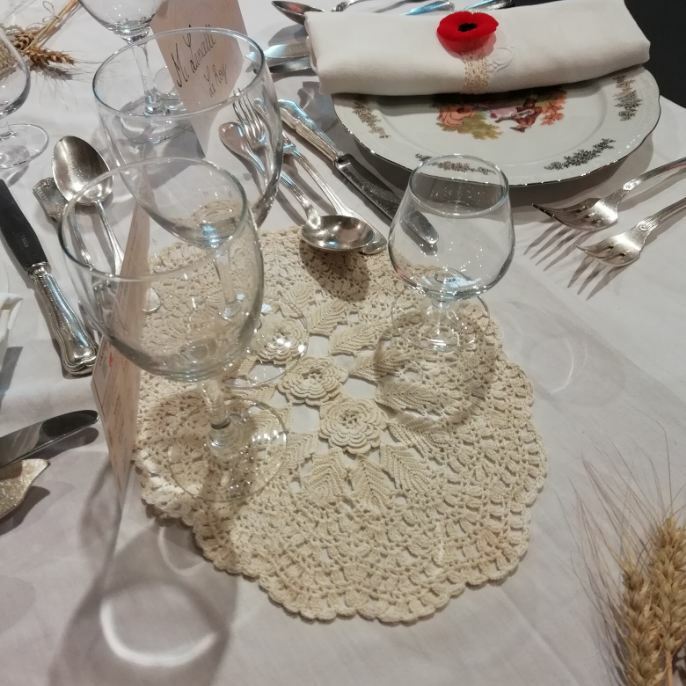 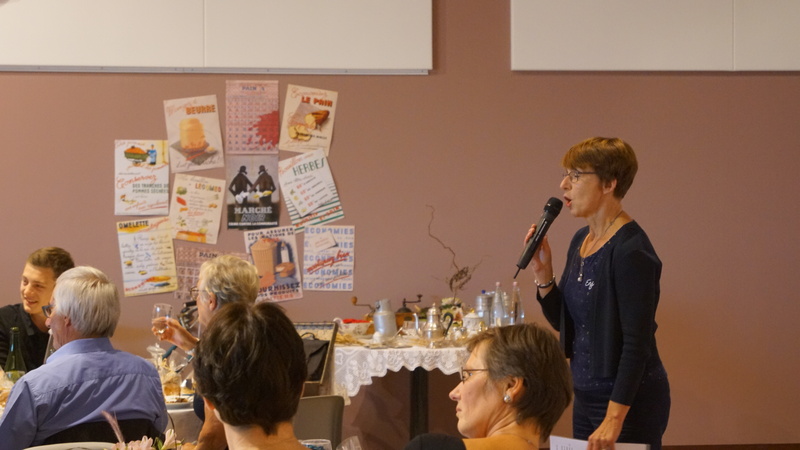 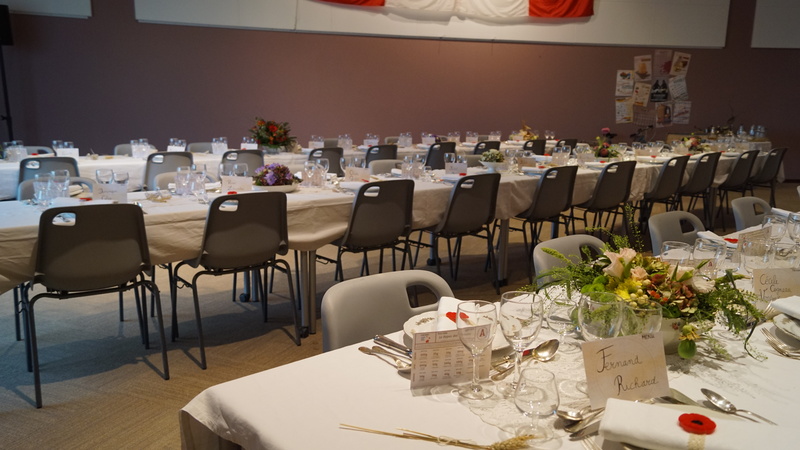 We had a great time sharing on September 22, 2018 during the Witnesses’ Dinner at the Juno Beach Centre. 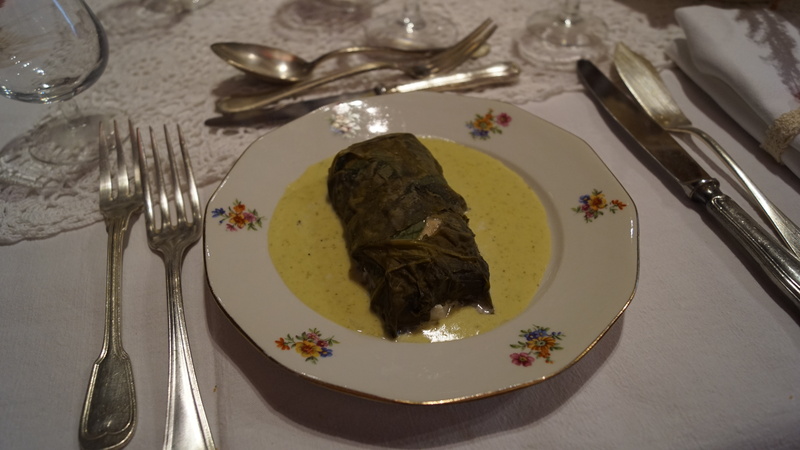 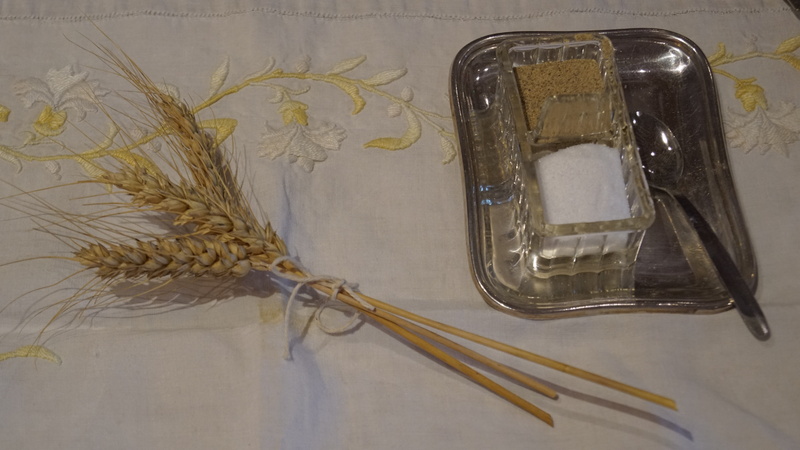 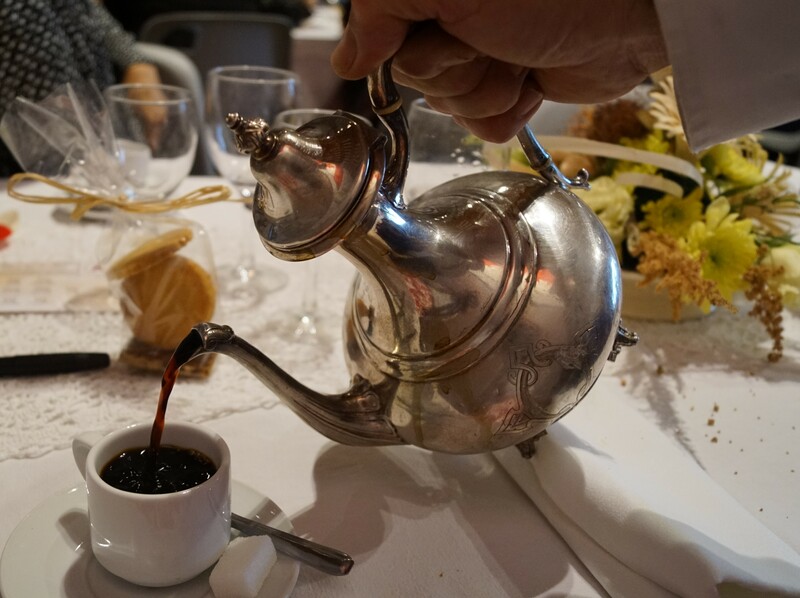 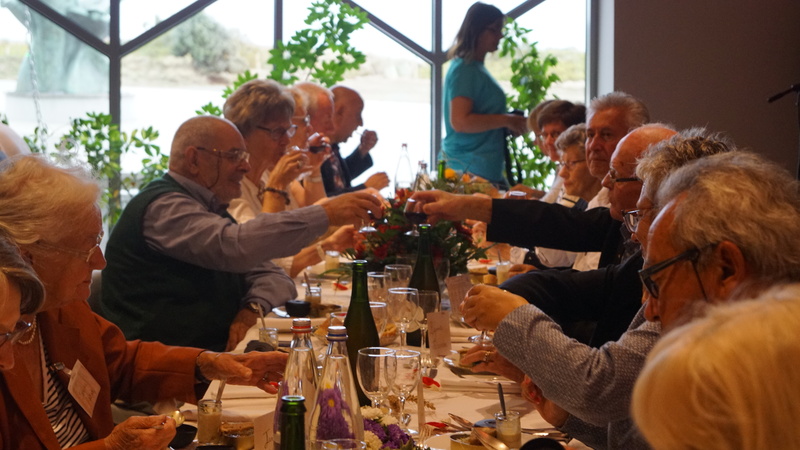 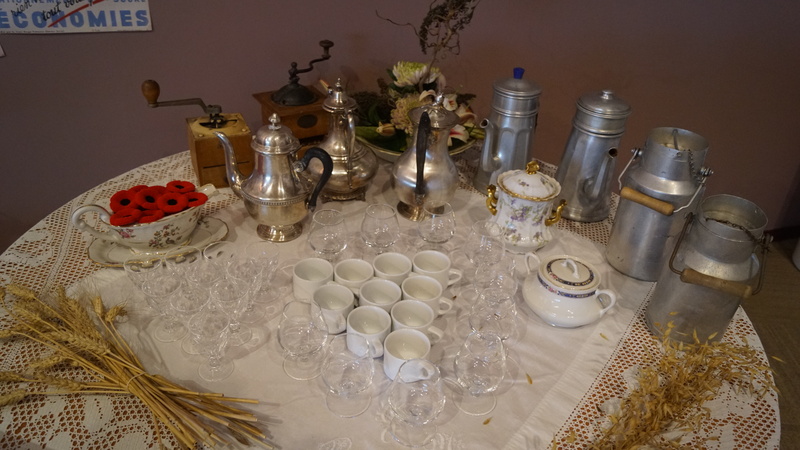 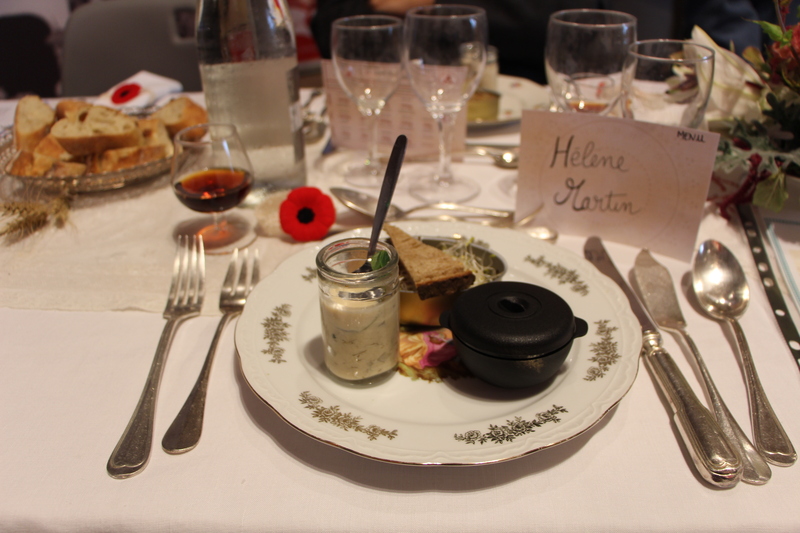 As part of a meal with flavors of the past and a decor reminiscent of the war, about twenty witnesses shared with the guests their stories and anecdoctes about the war and the liberation of their village. 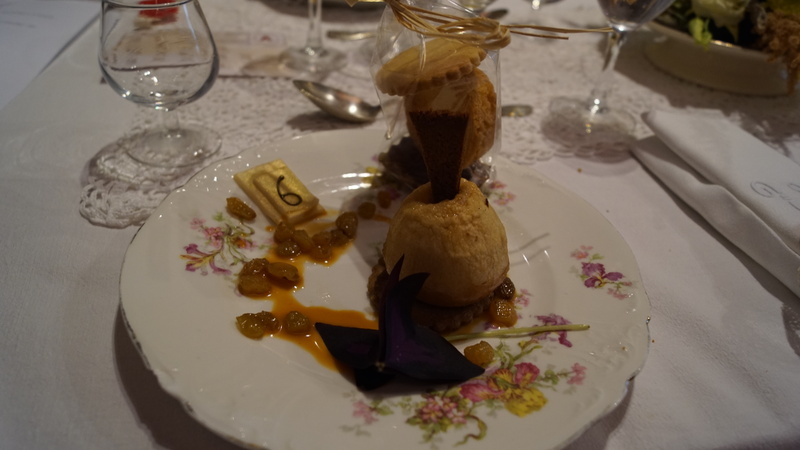 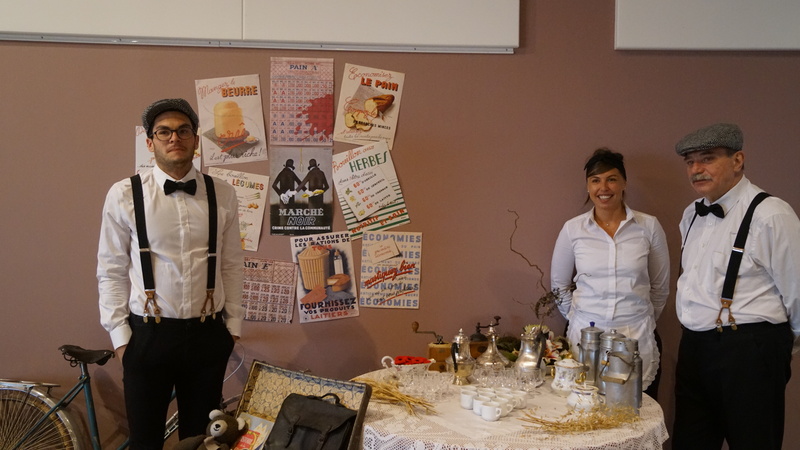 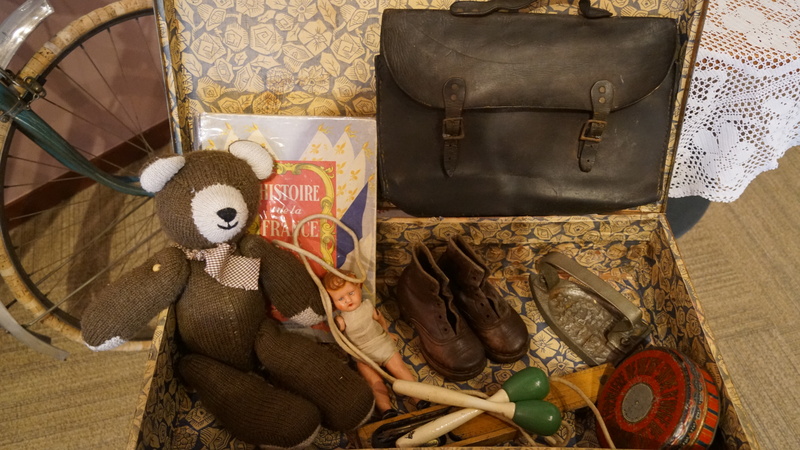 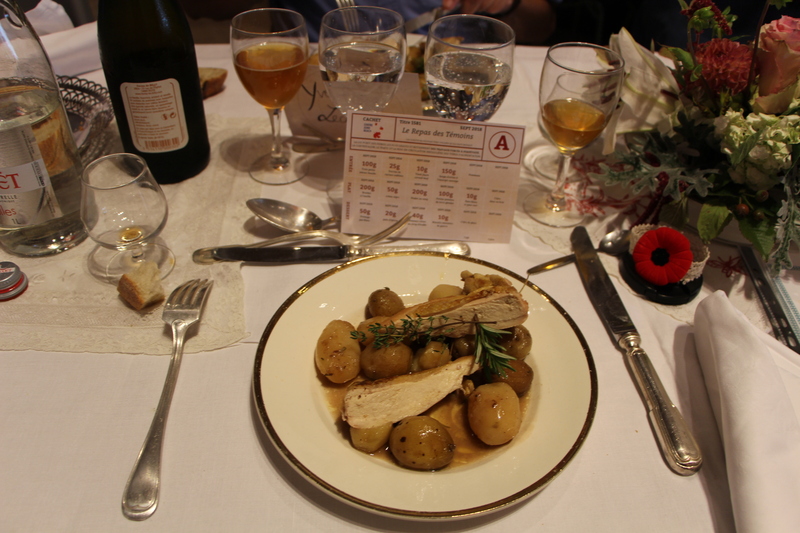 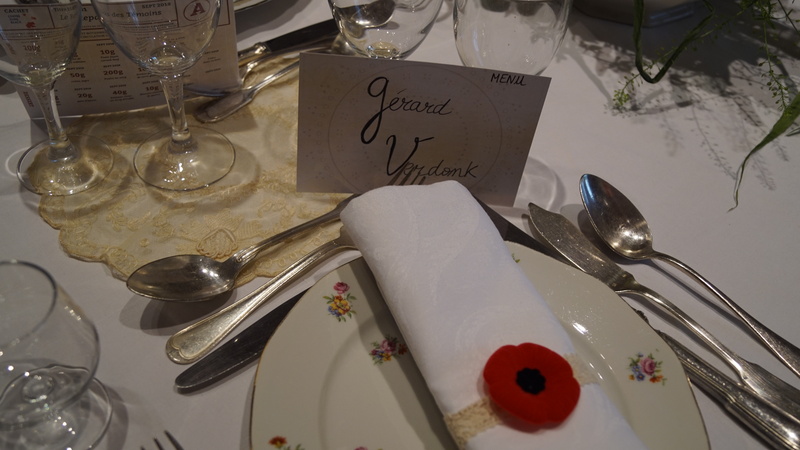 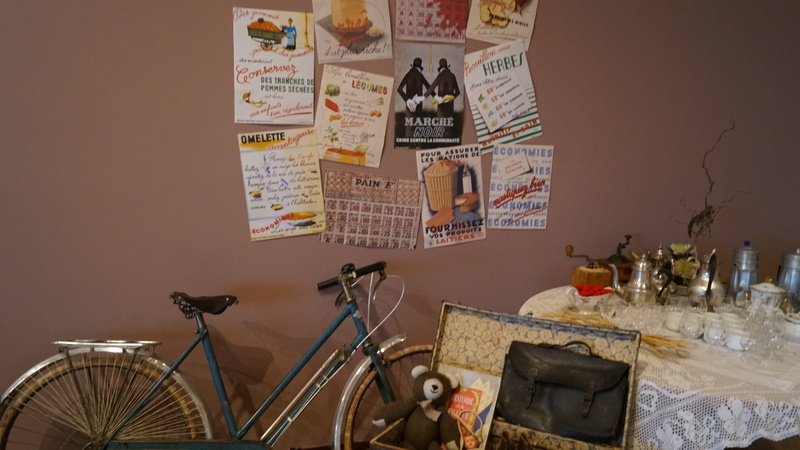 Michel BRUNEAU, a Norman chef with two stars, imagined a meal which took us back to the 1940s. 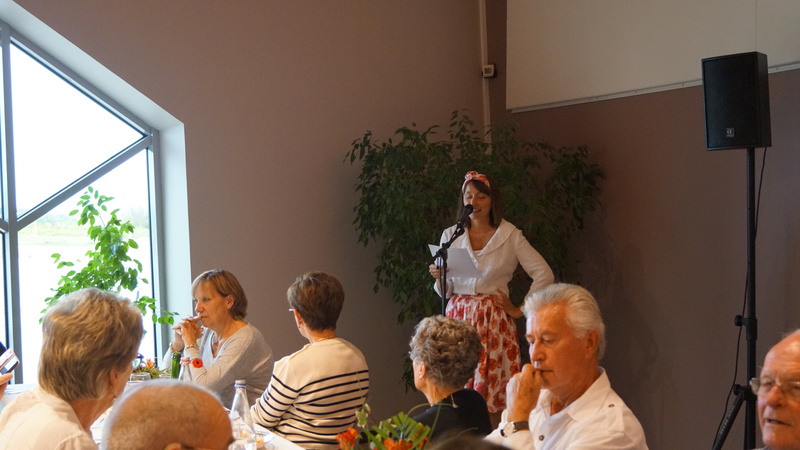 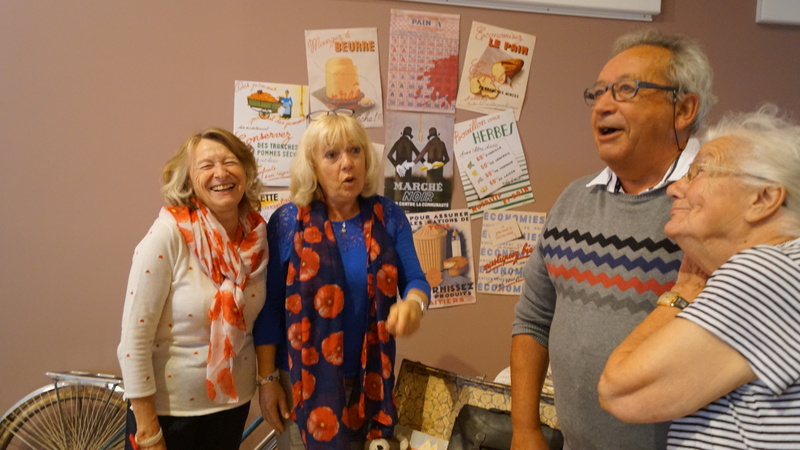 LOISON TRAITEUR ensured the cooking and the service of a meal that appreciated by all. 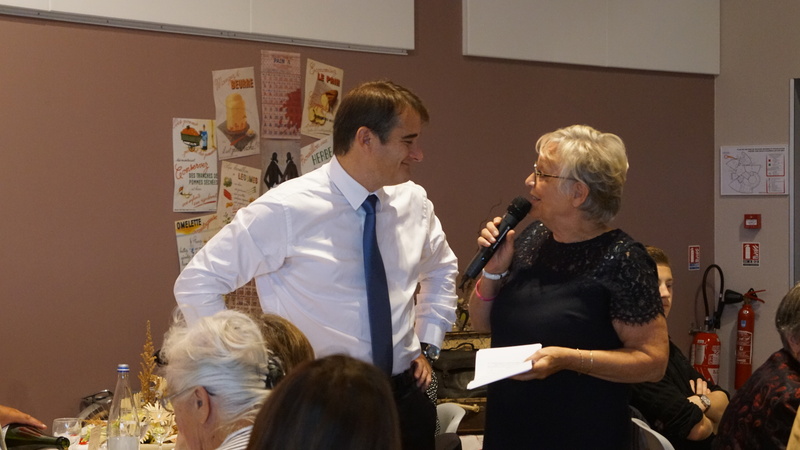 Raymonde et Roger ALEXANDRE, Mesnil Patry. 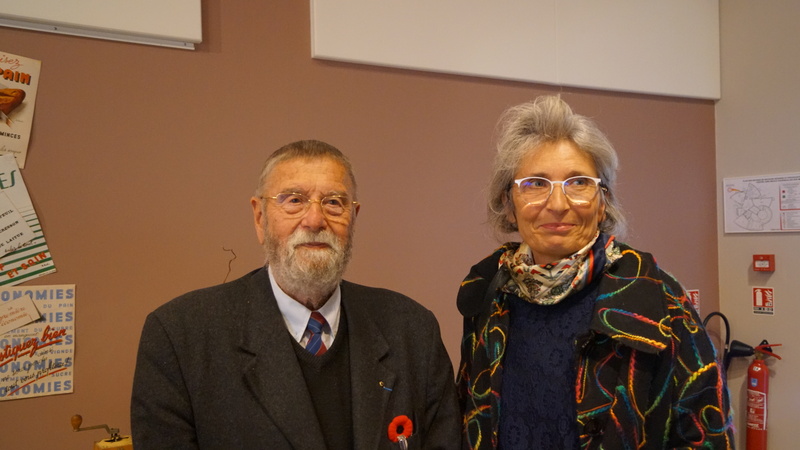 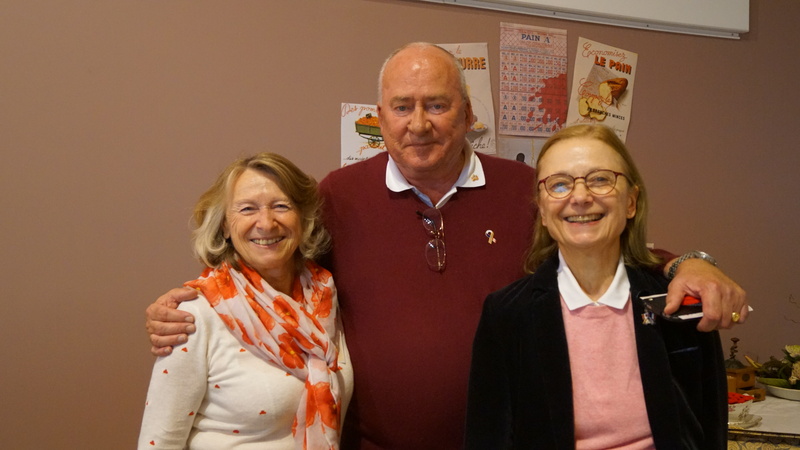 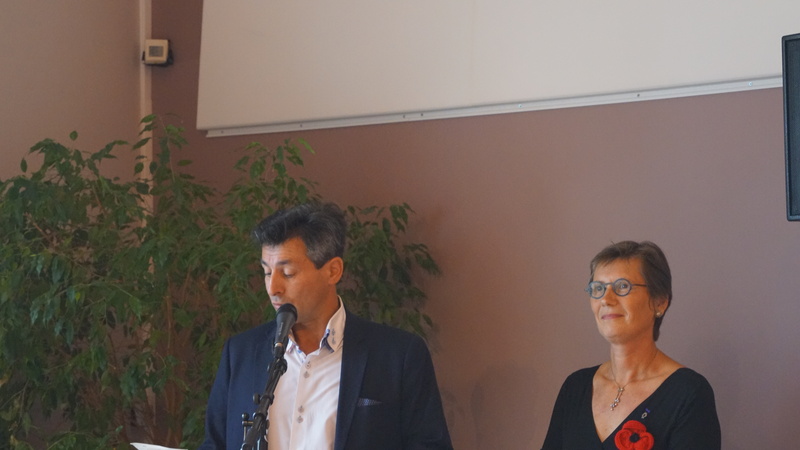 Gérard BESNARD et Sylviane ZOUIN, Elbeuf. 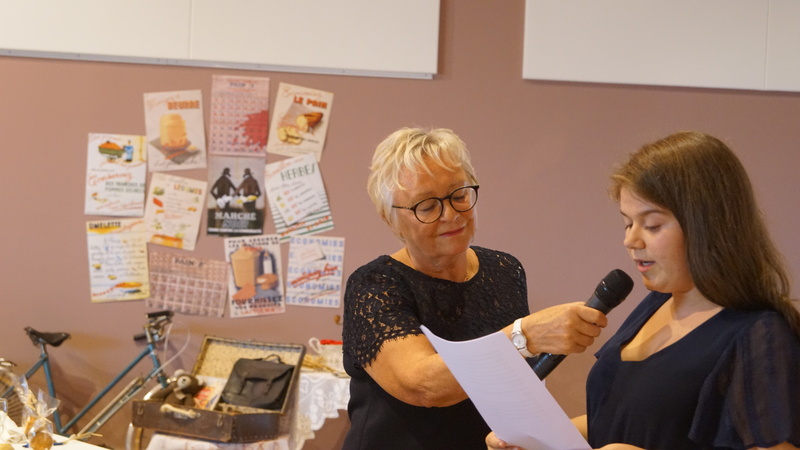 Janine HADJADJ, Corbeil / Bernières-sur-Mer.